One of the best new infrastructure developments available to enterprises is software-defined wide area networking (SD-WAN). It offers the ability to manage network traffic at discrete geographical locations over a single, centralized management application. It also prioritizes internet traffic, with mission-critical data transferred over multi-protocol label switching (MPLS) lines and less-critical data transferred over broadband. SD-WAN offers some additional benefits, including the scalability that comes with any cloud subscription model, the ability to quickly connect a new branch location to the enterprise’s network, and increased agility. It can also improve network performance and reduce the cost of network maintenance. The security landscape of SD-WAN is different. When implementing SD-WAN, it’s not as simple as tacking on a new technology to your existing network infrastructure. The routers are different than those being replaced, and IT needs to evaluate them for points of risk. SD-WAN is a new technology with new security concerns. 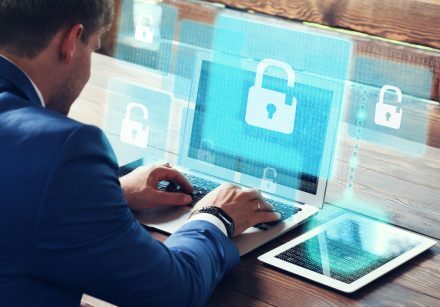 It’s simple: there haven’t been a lot of opportunities to see how hackers and malware approach SD-WAN solutions, so there’s still a lot of room for proactive evaluation of how SD-WAN introduces risks to the enterprise. SD-WAN is more open, and a branch location could provide access to the entire network if that single location is breached. The beginning step for securing SD-WAN is to adopt a dynamic and proactive approach to security. The fluid nature of data transmissions, the decentralization of information, and the wide area of networks accessing data are all reasons to embrace a forward-thinking approach. Your IT department must inventory and classify applications, evaluate end-to-end security visibility in any SD-WAN system considered for implementation, and run deep packet inspection. The overall purpose of SD-WAN implementation is the end-user experience, so it’s important to evaluate how a security concern could affect the customer. Cory Communications helps you determine if your business can benefit from SD-WAN. We will connect you with the right provider so you can run operations on the most functional, efficient network. Contact us to discuss a plan for implementing SD-WAN without compromising security.